The CAMRA Nottingham Beer Festival is the second largest in the country, attended by more than 25,000 visitors over three days and presents the biggest choice of real ale in the world. Each year it introduces over 1,400 real ales, beers and ciders from hundreds of breweries, creating a unique celebration of the Real Ale industry for both visitors and breweries.  Through a long standing relationship with CAMRA, we were commissioned to develop a digital alternative to the brochure that would help increase engagement among festival-goers and connect with new, emerging audiences. Importantly, it was key for us to understand the nature of the intended user and also working closely with CAMRA, identify and act on their desire for a shift in the public perception of Real Ale culture. Harnessing our expertise, we developed a native companion app, connecting the needs of these audiences with those of the festival’s aims. 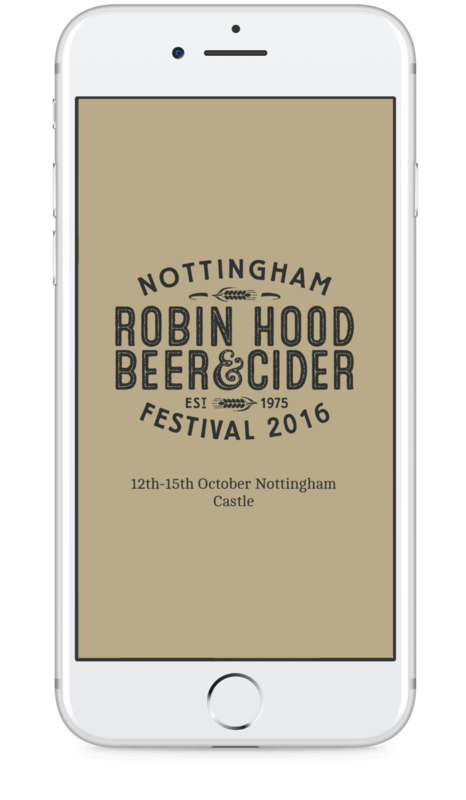 AtomicMedia designed a considered and bespoke user interface, combining Nottingham Beer Festival and CAMRA branding, while allowing for annual updates. Working with CAMRA through a Key Account Manager, we established the content required to be housed in the app. This included the beers and ciders on offer, their associated breweries, the location of the drinks, ratings, favourites and additional event details. We then developed a system framework in which to house this content. 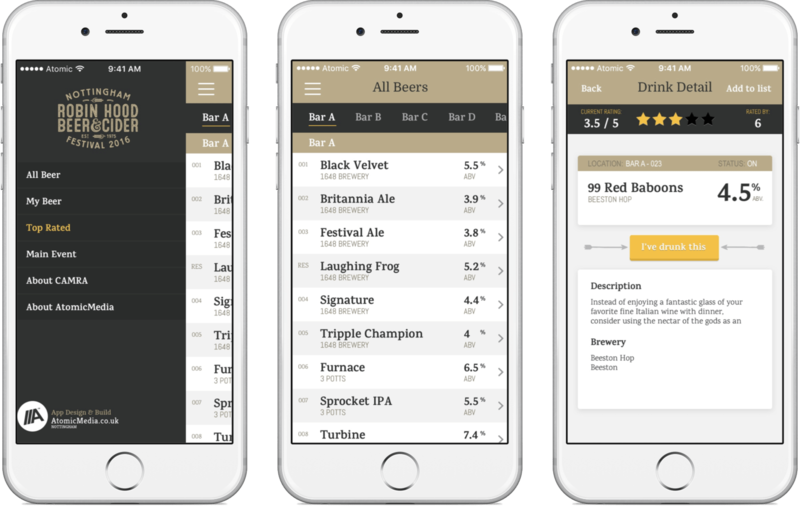 The app allows users to identify and locate drinks that interested them, either because of the name, brewery information or other user feedback. Social media integration then allows users to source the latest reviews of each product and leave their own feedback for others to find. We provided users with current information on the range of drinks on offer, AtomicMedia provided all visitors with instant access to supporting information. Through close liaison with CAMRA, we were also able to keep the information within the app completely up-to-date. The app checks every hour for a new list and re-populates itself based on the data it finds. A rating system in the application allowed the user to give a star rating out of five for each beer they drank. The app also created a top 25 list based on the feedback received by other app users. The app also allows users to provide their own feedback on the drinks and view the ratings left by others. Integration with Social Media then allows the user to share their rating on Twitter, increasing the audience for the festival and the app. The app provides a new way for attendees to get more out of the beer festival, creating a social and interactive atmosphere for the visitors whilst guiding and supporting each user through the festival. The CAMRA beer festival app saw over 1,000 downloads through Android devices and more than 1,300 Apple downloads. It also saw almost 10,000 comments and ratings made through the app over the course of the festival. In addition, the rating succeeded in helping generate some friendly competition between breweries whilst also providing them with real-time feedback on their products. Most importantly, through signposting and up-to-date information, the app was able to help a large number of people find and sample beers which they otherwise wouldn’t have had access to.